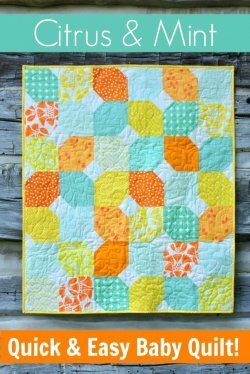 Although this adorable quilt was originally created for babies, the pattern and fabrics are so fun, you may want to adapt it to a size you can wrap up in yourself. This quilt is made with half snowball quilt blocks. Of course, Lindsay shows you exactly what to do in case they're new to you. "The colors of this quilt were inspired by a design seeds color palette my friends picked for their little girl’s nursery. 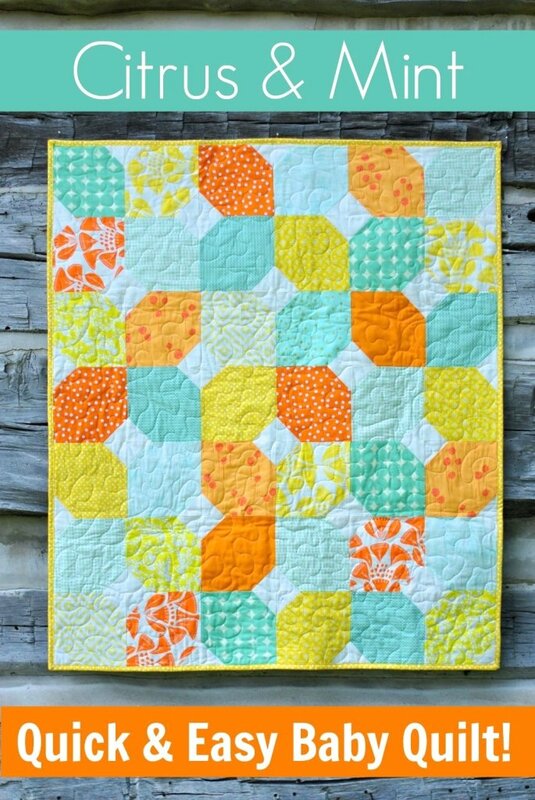 I really loved the citrus and mint colors paired with a soft cream, but you can make this quilt in a variety of colors and it would look beautiful! If you have trouble picking a color palette for your quilt, try choosing two or three colors that work well together and pairing it with a neutral like white or grey. (One of my favorite go-to color combos is yellow, aqua and grey.)" "The block we’ll be sewing is called a half snowball quilt block. A full snowball quilt block uses the same technique, but with all four corners getting the triangle. This half snowball tutorial will show you how to make this block, which you can use in all kinds of projects! I hope you enjoy this free quilt pattern."